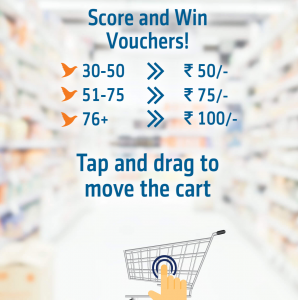 Play a Game & Get Rs 100 Future Pay Credits to Use at BigBazaar (All Users)!! 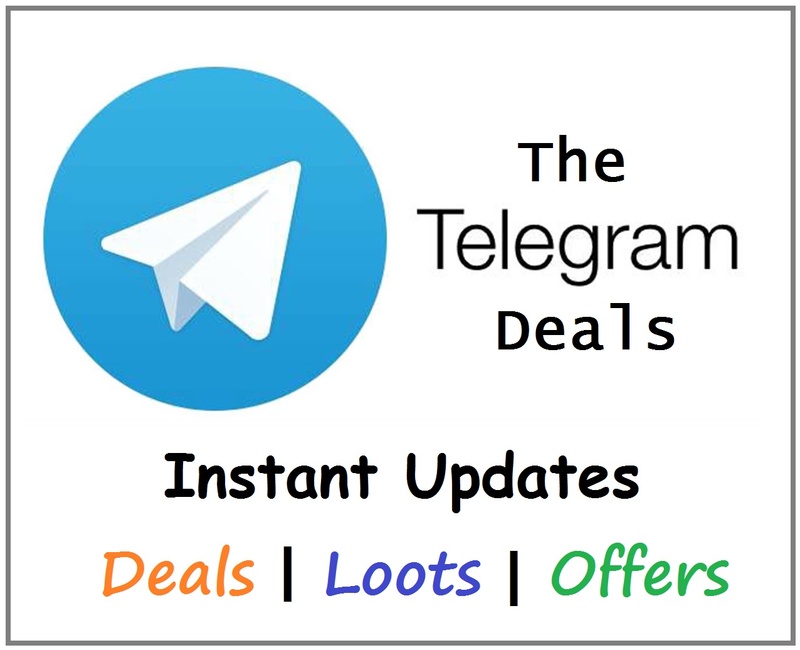 – As always, BigBazaar and FuturePay are back with a Big Loot for all the users. Play a simple yet interesting game and grab Free Vouchers upto Rs 100 in Future Pay Wallet which can be redeemed at BigBazaar on Shopping. Isn’t it Cool? Let’s check the details. Click on HOW TO PLAY Button. 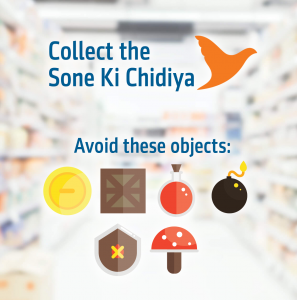 You have to Collect the Sparrows (Sone ki Chidiya) in the Shopping Basket (Cart) and avoid other items. Just click on BEGIN Button to start playing the game. Move right or left to collect the coming items. You will get +1 point for collecting Sparrows and -1 for collecting any other item. The more you score, the more amount you win. Download Future Pay App and Login to your Account. You will receive the Prize Amount in your Future Pay BigBazaar Wallet by 10th August 2018 which will be valid for use till 15th August 2018. Having any other Question? Just comment below.